Certain companies, when they announce something, people want to be part of it. Why? Because the whole ethos of the company seems to be centered around something ethical, and something that at its base level wants to help people. You can tell when someone is purely driven by profit and doesn’t care for the people who work for them or the people that they cater to – and while a product might skip over that bump in the road for a while, it is never going to totally circumnavigate what will become a huge unsightly sink-hole. Google are one of those companies, and I am not going to claim for them that there have been no controversies, because those kind of things tend to come with the territory of being a company of that size, but the things that they do really appear to be grounded in a desire to make people’s lives better and to give them something useful. Chromebooks are built out of observing what customers want – not coming at it necessarily with some design driven idea of what is going to be the next cool thing. The search algorithms that Google changes fairly frequently are designed to improve your browsing experience and to make search engines more reflective of what someone wants to find when they go looking for something. 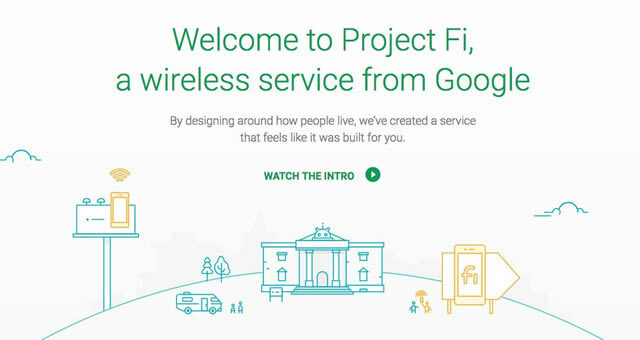 When I read about Project Fi it hit me in the same way that other Google news hits me – that these are good guys trying to do good things to help people. They are releasing a virtual mobile network which, because they lease network resources from other providers, allows them to switch from network to network on the fly and provide their users with the best bandwidth. Currently its only available on the Nexus 6, but Google don’t do anything on a small scale, and it is nice to have big thinkers out there who are really trying to improve things. This is an admirable view, and from these products and this sensibility, it is not hard to generate good publicity for the company. PR and advertising for Google does not seemingly need much push before it starts rolling like a snowball and getting bigger and faster. That comes from good will, and the sense that people have that it is a company with an ethical bedrock.